Pickling is a treatment that consists of cleaning the surface layer of the object. 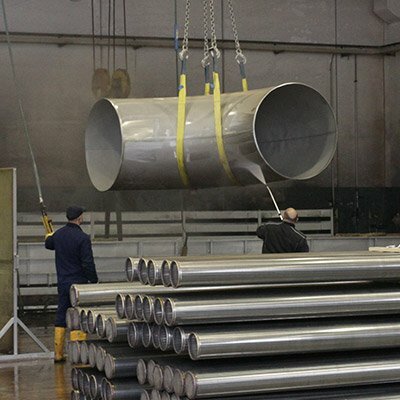 The aim is to remove any impurities left by previous treatments that have released oxides, which happens for example in the processes of forging and hot rolling or in any case in processes that involve the use of high temperatures. Unlike degreasing, pickling does not therefore deal with dissolving oily substances but with eliminating other types of residues. In the case of metal pickling - one of the services offered by Bama - the treatment eliminates the layer of surface oxide and removes impurities from other manufacturing processes. The entire treatment aims to make the material suitable for the subsequent stages, such as the application of an anti-corrosion layer. The pickling then disintegrates all the iron compounds that are present on the surface of the object. These are, in fact, the ones responsible for the deterioration in contact with the atmospheric agents. The pickling treatment is therefore applied to different types of metals. These include stainless steel, aluminium, carbon steel, copper and titanium, but also nickel and zirconium, all of which have different resistance to oxidation. Bama also performs this procedure on stainless steel in order to ensure complete protection from oxidation even on materials known to be resistant. Following the pickling treatment, the metal is ready to receive the best subsequent treatments such as passivation. The substances used during the pickling process are mainly acidic. Here too, as in the case of degreasing, the process takes place by immersion of the object. The substances present in the tank, in contact with the metal, are activated by removing and solubilizing the oxides present on the surface. The process times change depending on the quantity and type of residue to be eliminated. There is also a manual pickling process, which is carried out by sandblasting or brushing. This occurs in the presence of particularly hard oxides that are difficult to remove by chemical action, for example after heat treatment. Manual pickling also occurs with gelled chemical formulations such as Bama Gel Steel Strong, Bama Geltitan Strong or Bama Carbogel Quick. These products are used in the case of very large products or at the customer's premises if the products cannot be transported.